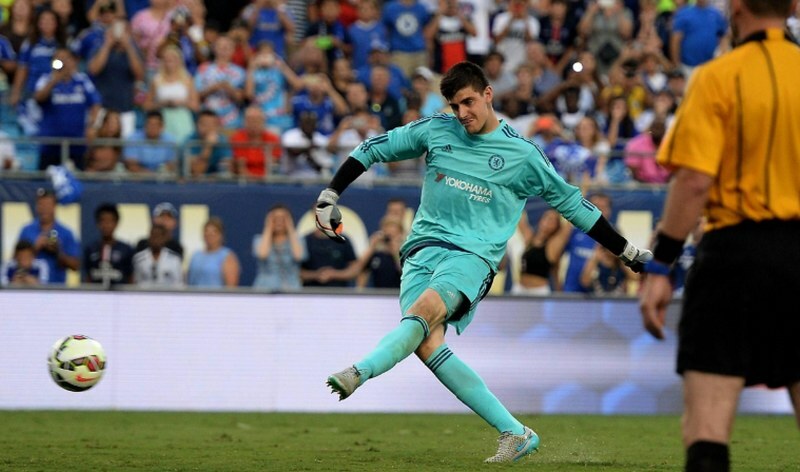 It appears that Thibaut Courtois to Real Madrid is as good as done with Los Blancos expecting Chelsea to announce a replacement for the Belgian shot-stopper in the coming days. Chelsea are believed to be locked in negotiations over a new goalkeeper after losing out on Alisson, with the likes of Petr Cech and Kasper Schmeichel being sounded out. Courtois, who has been heavily linked with a move to the Bernabeu in recent seasons has finally forced the hands of the Madrid hierarchy to come for him after he emerged as the golden glove winner of the Russia 2018 World Cup, an award which saw his stock rise significantly. The towering goalkeeper is just 26 and has played a part in major successes at Atletico Madrid and Chelsea, and therefore, would be a perfect fit for the number one spot for a club of Real Madrid’s stature. Courtois still has more years to give at the top level and this appears to be the reason why the Los Blancos hierarchy chose him. The player will now see his dream of returning to Madrid and being close to his children come to fruition, whilst plying his trade for the heavyweight club in European football historically and presently. He will have the opportunity to help the Galacticos fight for laurels under new manager Julen Lopetegui. Chelsea had no choice but to let him leave, as he would have left on a free next summer if they had decided to keep him past this season, with him deciding not to put pen to paper on a new deal. However, when the deal is finalized, he will miss out on Madrid’s trip to the United States for a pre-season tour as he’ll be on holidays. On the other hand, he’ll most likely be available for a place between the sticks in the upcoming European Super Cup game.